Last weekend, I went to my parents' house to visit. I was there very briefly for Christmas, but we didn't have as much chance to visit since the holiday fell on a weekday, and having many other guests to spend time with, plus we had an ailing pet who unfortunately died on the 26th, it wasn't exactly the best holiday, although on the bright side, our cat didn't suffer and we weren't forced to make a painful decision, so all things considered, it wasn't as awful as it could have been. Still, we didn't really get sufficient time to visit family over the holiday as we might have otherwise. For the holiday, my mother gave us a personalized recipe file that she had made, along with a few recipes. As I had a chance to add my own recipes and review what was already in there, and I noticed a few of my mother's recipes that really I wanted to include that I did not have her recipes for, so I was able to ask for those during my most recent visit. One recipe I wanted to include was the quintessentially 70's hors d'oeuvre: her cheese ball recipe. I've Googled a fair number of cheese ball and cheese log (basically the same thing in a slightly different shape) recipes and learned a few things about them. These are usually served with different commercially-baked crackers, maybe pretzels (small, thin pretzel sticks or pretzel chips/crisps) and crudites (generally small, thin vegetable sticks made from celery, peeled carrots, and green, red, yellow and/or orange bell peppers, as well as broccoli and cauliflower florets plus cherry or grape tomato varieties). In the U.S., what Americans call "cream cheese" (sold under the bestselling brand name of Philadelphia now made by Kraft-Heinz, but available commercially since 1872, its origins were not from Philly but upstate New York, see HERE for more history) is a soft, usually mild-tasting fresh cheese that's made from milk and cream. Stabilizers such as carob bean gum and carrageenan are typically added in industrial production. Cream cheese is not naturally matured and is meant to be consumed fresh, so it differs from other soft cheese varieties like Brie and Neufchâtel (the latter being the variety in which it is most similar to in terms of taste and texture, only cream cheese is richer and there's no rind). It is also comparable to Boursin and Mascarpone in terms of flavor. Frequently, Neufchâtel cheese is marketed as a lower-calorie version of products like Philadelphia cream cheese in U.S. supermarkets. The U.S. Food and Drug Administration defines "cream cheese" as containing at least 33% milk fat with a moisture content of not more than 55%, and a pH range of 4.4 to 4.9. Similarly, under Canadian regulations, cream cheese must contain at least 30% milk fat and a maximum of 55% moisture. In other countries, its defined differently and may need a considerably higher fat content to be called cheese. That said, whether one uses American/Canadian "cream cheese", Neufchâtel, Mascarpone or another variety, it's possible to experience what is commonly referred to as cheese balls. Cheese balls are rooted in sharing. Like another seventies cheese fad known as Fondue (I wrote about it HERE) that originated from the Swiss dairy conglomerate known as the Emmi Group, the largest Swiss milk processor and a leading producer of specialty cheeses that Switzerland sells for export, both are social foods. Unlike Swiss cheese varieties marketed around the world, the American cheese ball (or cheese log) is uniquely American in origin. But, like fondue, it's also typically a socially-consumed food. The New York Times wrote that the [American] cheese ball is "a stalwart of the Midwest cocktail party", where it can be fashioned from processed cheddar cheese and/or cream cheese with port wine or even fruit (usually rolled in some type of crunchy nuts, although sweeter versions may use oats, cereal, chocolate chips, sprinkles, etc.). But the Midwest is a vague and vast geographic region, so the origin is most likely from the state that calls itself America's Dairyland: Wisconsin and/or its nearest neighbor (another U.S. dairy powerhouse): Minnesota, which is home to the massive Land O'Lakes dairy empire, which began as the Minnesota Cooperative Creameries Association and now ranks among the biggest in the country. Technically, the Midwest has dozens of dairy cooperatives, many of which have grown to become among the top 100 in terms of sales. However, California produces far more dairy products than both Wisconsin and Minnesota combined. Plus, even a smaller but very innovative dairy cooperative from New England has grown into a force to be reckoned with, the dairy cooperative known as Cabot Creamery (which includes dairy farmers from across New England and upstate New York; the cooperative is known as Agri-Mark but Cabot is a brand offered by the organization) has since since grown into a firm that has begun to rival its big Midwestern counterparts in terms of both output and more importantly: innovation, name recognition and branding. Whether the cheese ball's origins are the Midwest or not, for whatever reason, cheese ball and cheese log recipes became massively appealing nationwide among U.S. housewives during and were suddenly all the rage in the back in the 1970's: they are an easy, tasty, and are an attractive party food for most any occasion. 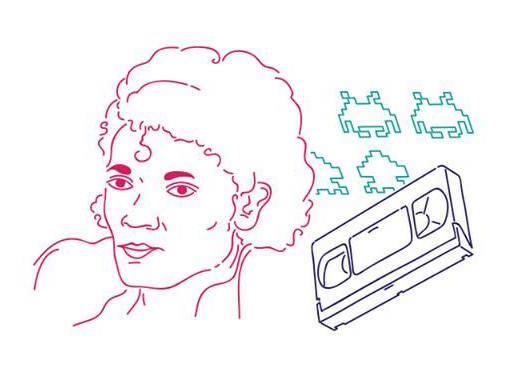 That suited housewives and hippies living in communes alike. These are usually served with different crackers, maybe pretzels (small, thin sticks or chips) and crudites (generally small vegetable sticks made from celery, peeled carrots, colored bell peppers, broccoli and cauliflower florets, plus cherry or grape tomatoes). In the U.S., what's called "cream cheese" (sold under the Philadelphia brand name marketed by Kraft-Heinz) is a soft, usually mild-tasting fresh cheese that's made from milk and cream. Stabilizers such as carob bean gum and carrageenan are typically added in industrial production. Cream cheese is not naturally matured and is meant to be consumed fresh, so it differs from other soft cheese varieties such as Brie and Neufchâtel (the latter being the variety in which its most similar to in terms of taste and texture, but cream cheese is richer and there's no rind). Its also comparable to Boursin and Mascarpone in terms of flavor. Neufchâtel cheese is sometimes marketed in the U.S. as a lower-calorie version of products like Philadelphia brand cream cheese in U.S. supermarkets, or dozens of store brands of cream cheese. The U.S. Food and Drug Administration defines "cream cheese" as containing at least 33% milk fat with a moisture content of not more than 55%, and a pH range of 4.4 to 4.9. Similarly, under Canadian regulations, cream cheese must contain at least 30% milk fat and a maximum of 55% moisture. In other countries, its defined differently and may need a considerably higher fat content in order to be called cheese. That said, whether one uses American/Canadian "cream cheese", Neufchâtel, Mascarpone or another variety, its very possible to experience what is commonly referred to as cheese balls in the U.S. While plenty of people are more fond of the sweetened variety (such as those containing fruits such as dates, raisins, pineapples or cherries) or chocolates considering that Kraft sales data show that its better selling cream cheese spreads sold are the sweet varieties such as strawberry or pumpkin spice, rather than savory varieties like Chive & Onion, or Garden Vegetable (I'm still annoyed I can't find sun-dried tomato in my local supermarket anymore!). For me, I find sweetened cheese balls kind of revolting and they definitely tend to test my gag reflex, so I won't even consider the non-savory variety (savory cream cheese spreads contain things like olives, blue cheese, shallots/scallions, sun-dried tomatoes, etc.). To each his (or her) own, I guess. I also don't eat any salads with fruit in them (my apology to the Waldorf inventor, or those who add mandarin oranges), and I'm not fond of adding fruits to meat-dishes like ham with pineapples, or sausages containing raisins -- its simply a taste preference. But as already noted, in essence, a cheese ball is simply another form of social cheese consumption. At their core nearly all cheese balls are simply a combination cheeses, mixed in with some seasonings and rolled in crunchy nuts or other coatings. The cheese ball may be retro, but there’s a reason that cheese balls have a hallowed place in the hors d'oeuvre hall of fame. The combination of the mildness of cream cheese and the sharpness of the grated cheddars or other cheese varieties, all amped up with a dash of Dijon or a splash of Worcestershire, make them oh-so inviting. There are hundreds of different cheese ball recipes out there which you can find online (Philadelphia brand of cream cheese has an entire page dedicated to the topic), and I discovered that the truth is, you don't really even need a recipe at all in order to make a cheese ball. All you have to do is start with the main ingredient: a creamy cheese variety (or a combination of several). Then, mix in whatever fillings and/or flavorings you’d like, and roll it in something to give it a combined texture and flavor combination. That's about it. In many ways, a cheese ball isn’t even a recipe; it’s a concept with four directions. What makes a cheese ball so versatile is that you can literally change almost every element and still be good to go. Mixed-In Flavorings: Most people add seasonings for flavors, which are often savory, including condiments/spices: soy sauce (or fish sauce), Worcestershire sauce, horseradish, wasabi, ginger, basil, some type of garlic: minced, fresh garlic, garlic powder or garlic salt or a combo thereof, mustard (many varieties), lemon, sun-dried tomatoes, rosemary, thyme, hot sauce (Tabasco or other, including Sriracha), and packets of mixed herb seasonings (some like easy-to-find items Good Seasons dressing mixes, though these can be a little salty). Others on the sweeter side include: nutmeg, cinnamon, vanilla, instant coffee (no one wants coffee grounds! ), melted chocolate, confectioners sugar, dulce de leche, and/or flavored jams. Mixed-In Ingredients: As for mixed-in ingredients, typical savory mix-in ingredients are: sesame seeds, poppy seeds, caraway seeds, zaatar, minced dried garlic flakes, minced dried onion, crushed wasabi peas, scallions or chives, smoked paprika, parsley or dill. Sweet mix-ins include: coconut, raisins, crushed pineapple, dried fruits (such as raisins, but most any dried fruit will work), canned pumpkin, strawberries, maraschino cherries, pomegranate seeds and chocolate chips. 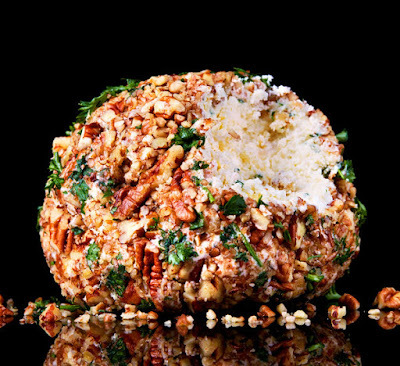 Rolled-In Flavor/Textures (the crunchy stuff): Savory ingredients to roll the cheese ball in include: chopped walnuts, chopped pecans, chopped pistachios, slivered almonds, or other chopped nut varieties. Sweeter ingredients to roll the cheese ball in include: pretzels, sprinkles/shots/jimmies, powdered sugar, cinnamon-sugar, shredded/sweetened coconut, Oreo cookie crumbs, graham crackers crumbs, chopped peanuts, chopped pecans, chopped chocolate/chocolate chips, caramel chips, or peanut butter chips, cookies, cocoa, granola, or even breakfast cereals. The single trick to getting any cheese ball to work well is that every ingredient must be at room temperature. Yes, proper temperatures are a must. Soft, warmer cheeses become integrated into a single flavor, with a new texture and aroma that simply cannot occur if you start with ice-cold ingredients. Set the cream cheese and other cheeses out on the counter for about an hour before you start and you will be problem-free. Without further delay, below is the cheese ball recipe I was looking for. I know it's probably just a recipe my mother made pretty often, but is not unique to her. My mother's cousin Janet gave her the directions/recipe initially, although very likely, I would guess that she probably got the original from someone else. Now that I know I have the freedom to experiment with different flavorings, I may add some others and see how I like them. I may also use something other than walnuts (maybe macadamia?!) as the covering. Sounds fun! Blend all ingredients. Chill at least 4 hours. Roll in chopped walnuts.